For any questions, contact your event coordinator or call 585-223-4210. We are happy to accommodate all of your audio visual needs. Equipment is available on a rental basis. Please consult with your events coordinator for details. If the client finds it necessary to cancel a function, any expenses incurred by Casa Larga or the food service company, in preparation for the event, become the responsibility of the client. Casa Larga's food service is provided by the Chapel's Catering, who has given consistent high quality service to our guests. Linen, china, glassware and silverware are included. Any special requirements for receiving or setting up displays, decorations, floral arrangements, computers, etc. should be discussed in advance with your Events Sales Coordinator. There may be additional charges depending on the extent of the arrangements. All damages to the facility caused by decorations, displays or your guests are the responsibility of the client. We require an initial $2,000.00 deposit to secure your reception date as definite. An additional $2,000.00 deposit is required six months prior to the date of your reception. The deposits will be applied towards your final bill at the full value. 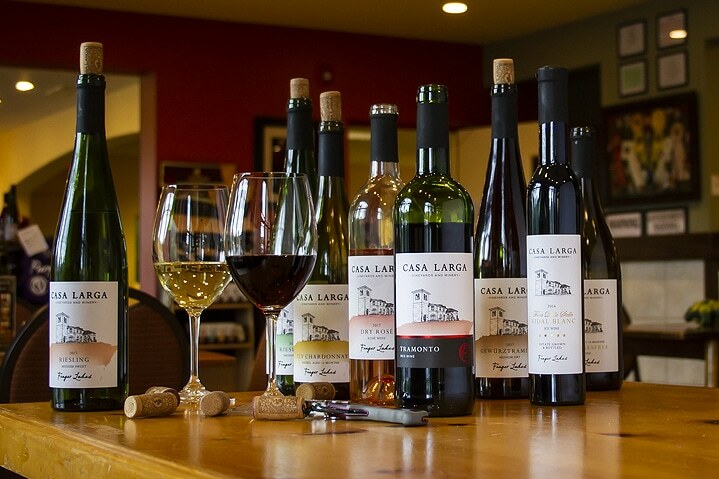 In the occurrence of your event canceling, your deposit shall become property of Casa Larga Vineyards. We require an initial $500.00 deposit to secure your event date as definite. The deposit will be applied towards your final bill at the full value. 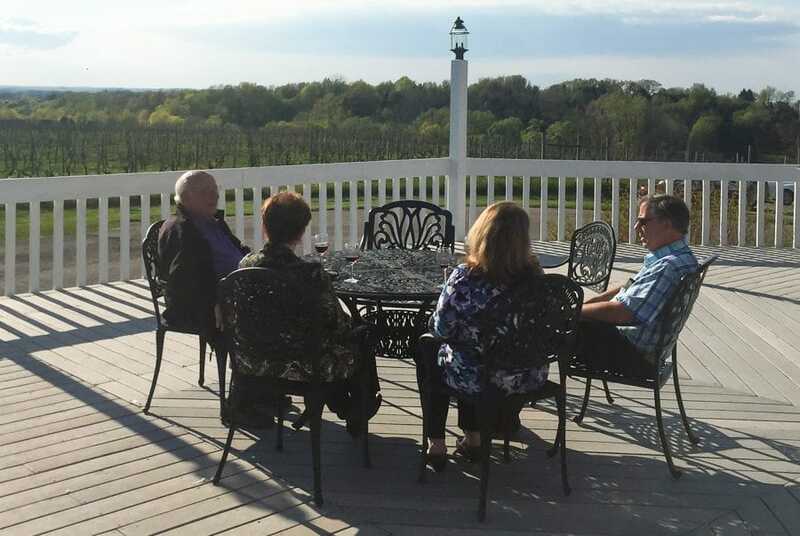 In the occurrence of your event canceling, your deposit shall become property of Casa Larga Vineyards. A guarantee count of guests attending your event is required five business days prior to the event date. This will be considered your minimum guarantee, which is not subject to reduction. If no guarantee number is provided, you will be charged for the number of persons denoted on your contract. We will be prepared to serve 5% over the guaranteed count and will charge for the persons in attendance who are added to the guaranteed number. Final Payment for the estimated balance of charges for your event will be due at the time of your final appointment with our event specialist prior to your event. Final payment is due by cash or certified bank check. Final payment for all charges incurred will be due upon the conclusion of your event. Final payment is due by cash, check, or credit card. If you would like to establish direct billing with us, a credit application must be completed and returned to Casa Larga no later than three weeks prior to your event for processing. If direct billing is approved, all invoices are to be paid within thirty days upon receipt of the original invoice. Should payment not be received by this time, it is agreed that Casa Larga may immediately impose a late payment charge at the rate of 2% per month. The client is responsible for unpaid balances and the reasonable cost of collection, including attorney's fees. Direct billing privileges are not extended to individuals. Quotations cannot be guaranteed until six months prior to the date your function will occur. Menu prices are subject to change, not to exceed 10% per year. Final menu selections should be submitted thirty days prior to the function to ensure price and availability of desired menu items. Prices quoted do not include: (1) a 22% service charge ($200.00 minimum for food; $100.00 minimum for bar services) and (2) current local sales tax on all charges (unless otherwise indicated above). THIS SERVICE CHARGE IS NOT A GRATUITY OR TIP AND WILL NOT BE DISTRIBUTED TO CASA LARGA EMPLOYEES WHO SERVE YOU AND YOUR GUESTS BEFORE, DURING OR AFTER YOUR EVENT. Sales tax will be charged unless we have received a Tax Exempt Certificate before your event. 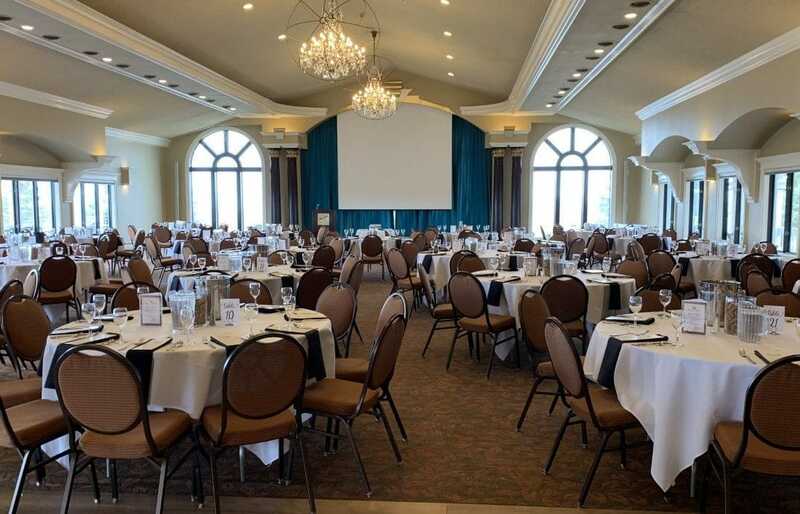 Events that extend beyond the originally scheduled ending time will be charged an extension fee ($100.00 for every 30 minutes over the scheduled ending time), however, events will be extended ONLY with the permission of your Casa Larga on-site contact and the Casa Larga manager on duty. Casa Larga may provide a referral list of different vendors and their services to you upon request. The vendors on this list have given consistent high quality service to many Casa Larga clients. They are not employed by Casa Larga nor do we benefit from your decision to use them. The rental charged for private rooms is based on many factors pertaining to your event. Changes in counts, times, food and beverage arrangements and dates may change the rental charge. Our facility can accommodate 250+ people for a sit-down dinner reception. 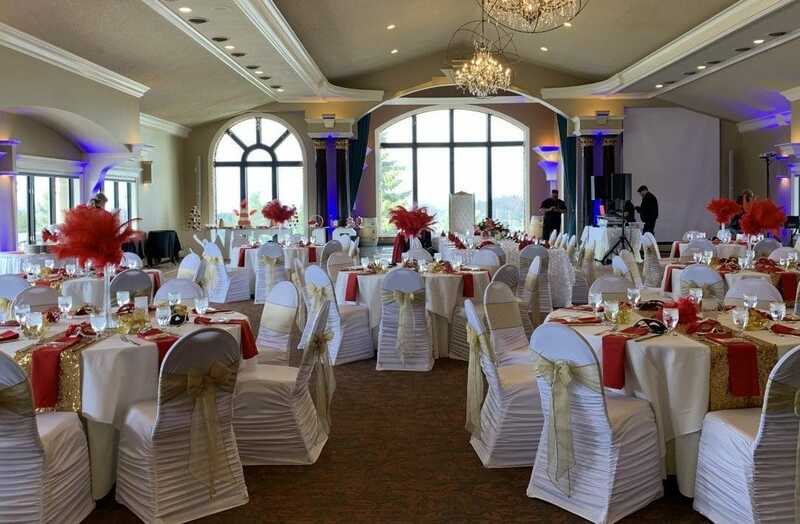 In addition to a reception we can also accommodate a ceremony the additional charge for a ceremony ranges from $1000.00 to $1,200.00 depending primarily upon the number of guests to be seated. Casa Larga will not assume the responsibility for the damage or loss of any merchandise or articles left in our facility prior to, during, or following your event. Special arrangements for security of items may be arranged in advance with your events sales coordinator. Delivery dates, as well as, arrangements for packages to be shipped out of Casa Larga may be made through your events sales coordinator.